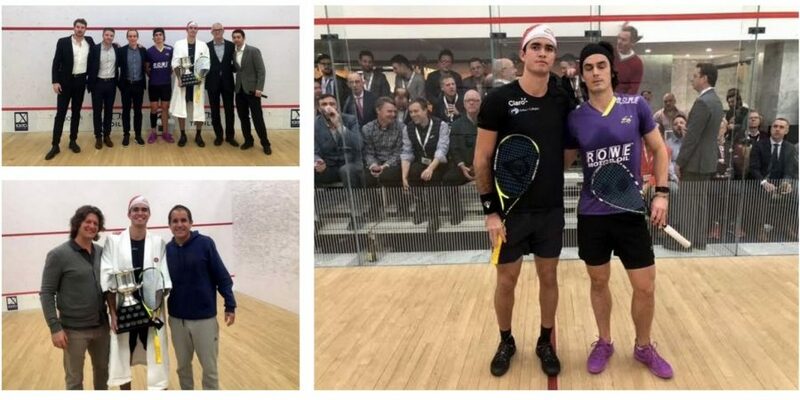 Attention squash fans! 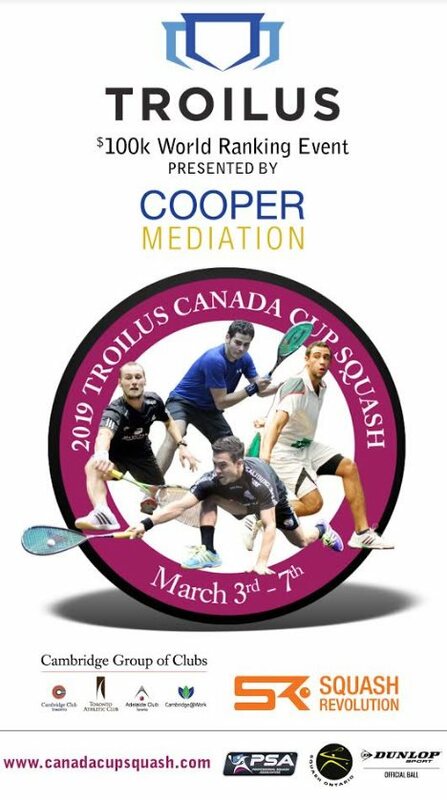 The week you’ve been waiting for is nearly upon us with the return of the 2019 edition of the prestigious Troilus Canada Cup Squash! 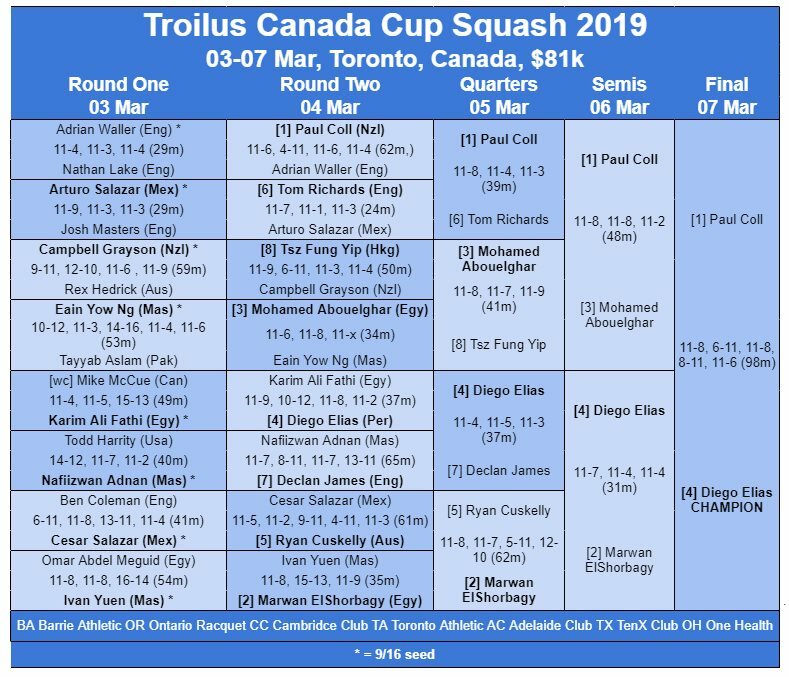 The CCS will take place at the Cambridge Club March 3rd-7th in Toronto and various GTA clubs. 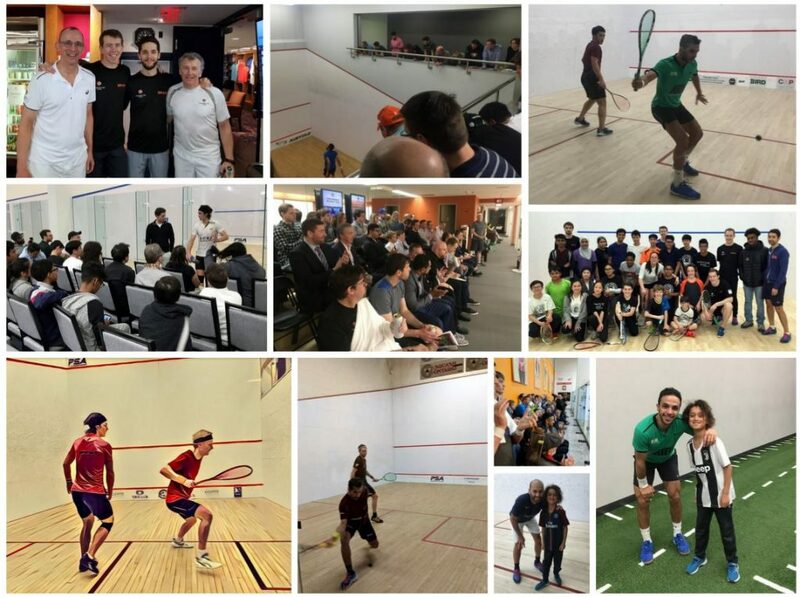 The event boasts a spectacular line-up including 8 of the top-20 players in the world.